The need for vaccination before, during and after chemotherapeutic regimens remains an area of controversy due to the lack of evidence-based guidelines. Although multiple consensus statements and guidelines are available in regard to the timing and necessity of (re)vaccination, these recommendations are variable, leading to significant differences in clinical practice. In this chapter we review the literature in regard to immune status prior to chemotherapy initiation, during chemotherapy and data on immune recovery after completion of therapy for pediatric patients with malignancy. 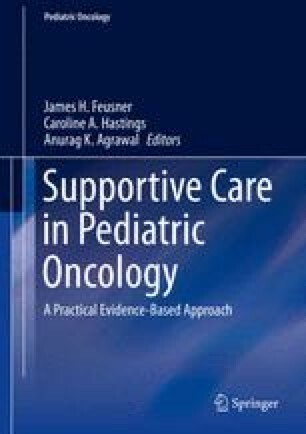 This serves as background for the available evidence on immunization practice prior to, during and after chemotherapy completion. Population-based risk assessment is also a key component of (re)vaccination guidelines; therefore, we review the evidence for active immunization in settings of high disease prevalence. Finally, we review passive and active immunization practice after exposure to disease and vaccination of household contacts.